Brookhill 35 is Rudy's 2BR 2BA main floor condo (no steps!) 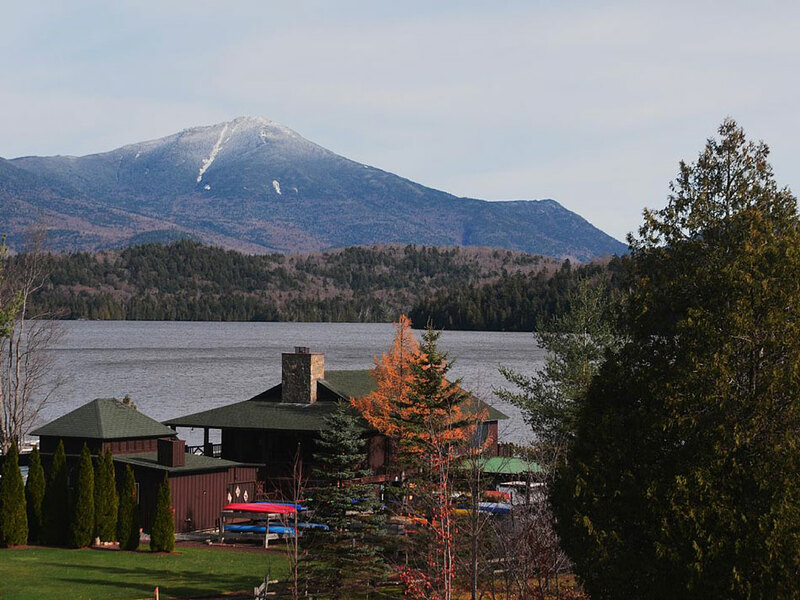 in Lake Placid that he calls a true 'paradise' that sleeps 7--great for young children or seniors! A comfy queen bed in the master BR, and 2 twin beds and bunk beds in the other BR offer plenty of room--plus a sleeper sofa in the LR. Both BRs have TVs as does the LR. Cozy up in front of the wood-burning stone fireplace (firewood supplied). The open dining area seats six, and you'll enjoy wireless internet, an HD TV, DVDs, board games & many jigsaw puzzles for family fun. Easy walk-in access from private parking. 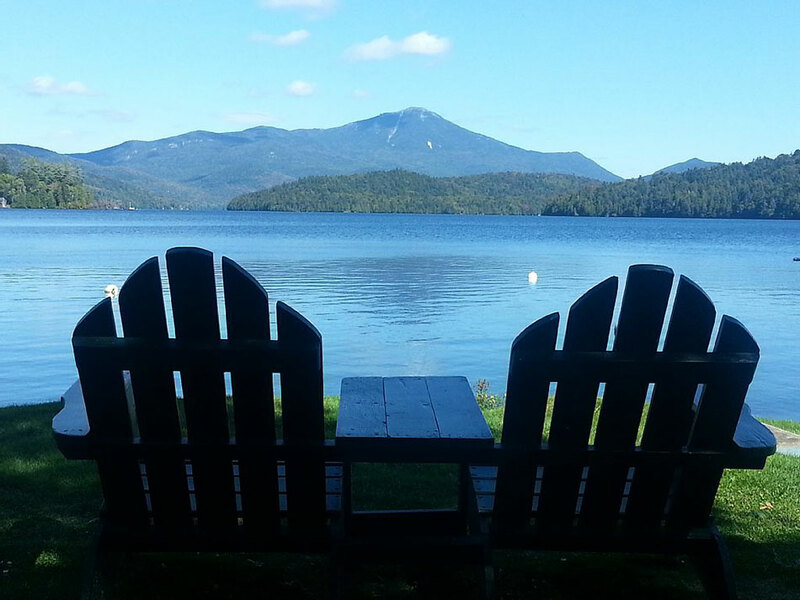 Come enjoy the best of Lake Placid! 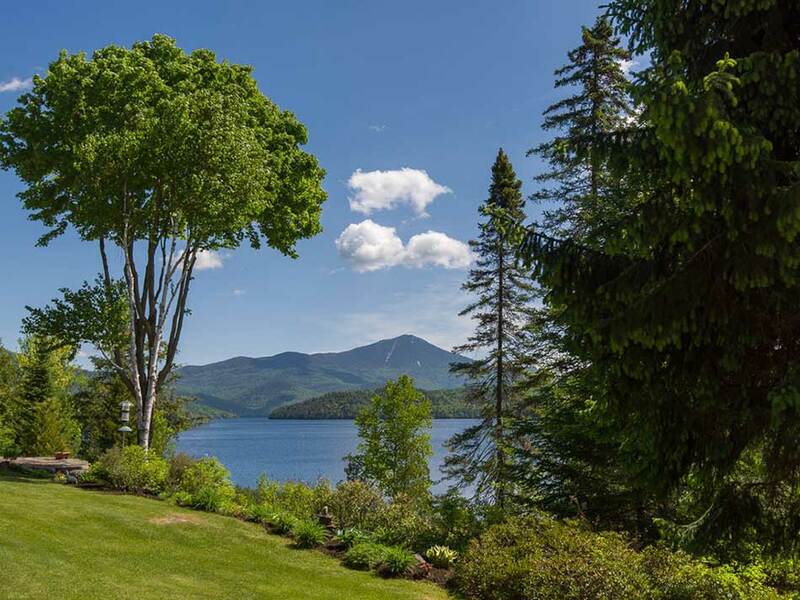 Brookhill 39 'Our Dancing Bear' is an immaculately kept 1280sf ground-level condo with a walk-out patio into the lawn with great views of the mountains and Lake Placid. You'll want to make this your traditional vacation spot! This stylish 2BR, 2BA condo overlooks the lake, and you'll enjoy the wood-burning stone fireplace (firewood supplied), Jacuzzi bathtub, newly renovated, full gourmet kitchen, high-speed WiFi, three HD LCD TVs, premium cable -- plus surround sound! A queen-size sleeper sofa in the living room offers additional sleeping capacity. Perfect for a relaxing getaway! Brookhill 41 is a beautiful 2BR 2BA condo overlooking Lake Placid and it's perfect for any size family vacation. The master BR has a queen bed, 2 twin beds and bunk beds in the other BR plus a sleeper sofa in the LR. Enjoy a fully-equipped kitchen and a cozy living room with a fireplace (we supply the firewood! 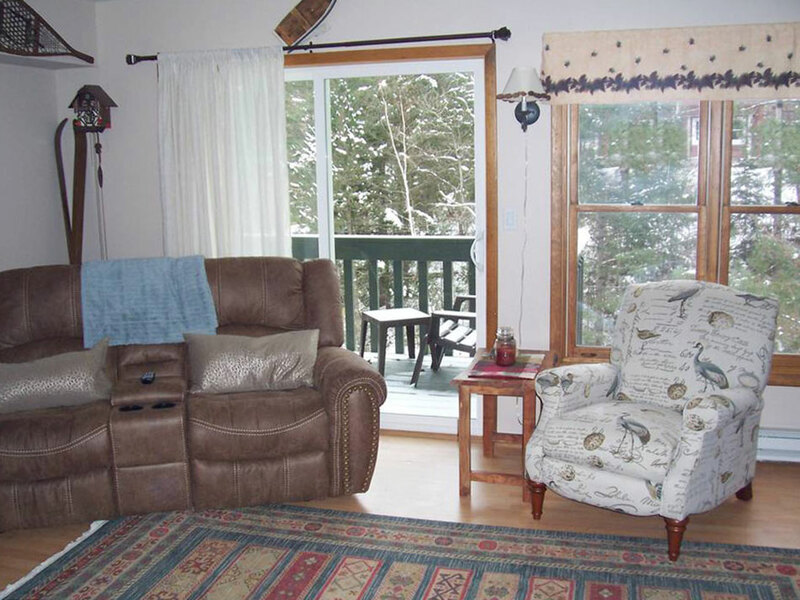 ), perfect for enjoying the stunning views of the lake and surrounding mountains! Wireless internet, HD TV, 40 DVDs, 20 board games & many puzzles for evening family fun. Close to the 1st tee for golf -- a round of golf with a cart is only $55! Haystack Hideaway is your perfect private getaway! 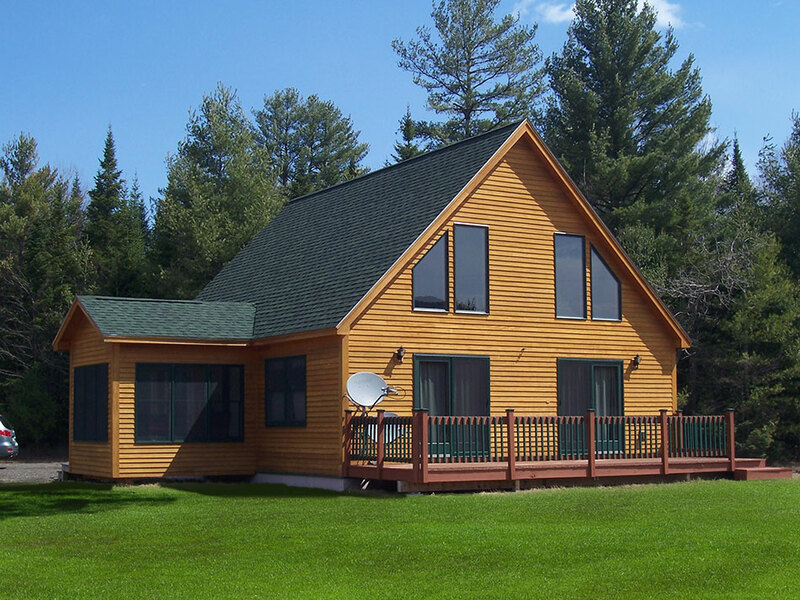 This modern yet rustic, A-frame Adirondack-style contemporary home, has 1570sf, 3BR 2BA (sleeps 6) and sits on 3 secluded acres near Haystack Mountain, and only an 8-minute drive into Lake Placid. The house is close to Scarface and McKenzie mountains too, if you love to hike, and the famous Jack Rabbit Trail. 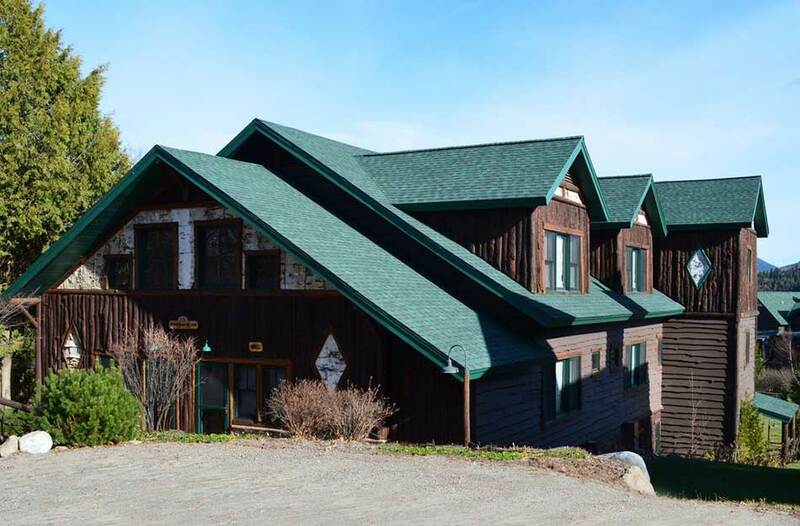 With comfort and privacy, but close to great hiking, biking, fishing, and hunting--this is your paradise! Yes, we allow dogs too! 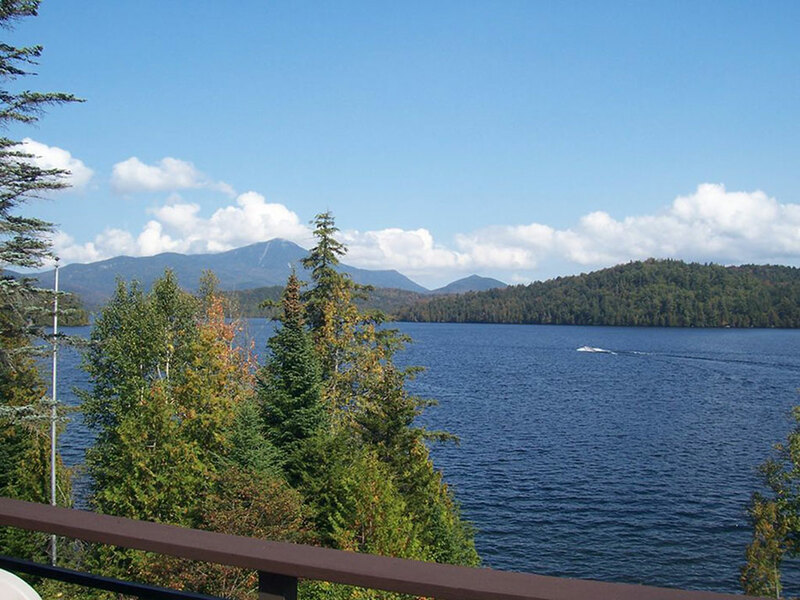 Lakeside 2 is a large, comfortable 3BR 2BA condo (1100sf) with spectacular views of Lake Placid. An end-unit so offer a bit more privacy, plus master BR (with king bed) is on the main floor. Two more bedrooms are upstairs; one with a queen bed, the other with two twin beds, both share a full bath. You'll enjoy the full kitchen with new appliances and our dining room seats 6. The stunning views will make Lakeside 2 your favorite getaway! Lakeside 11 is a beautiful 2BR 2BA (1280sf) first-floor condo overlooking the marina, lake and mountains at Whiteface Club & Resort. The master BR has a comfortable queen bed, 2 twin beds and bunk beds in the other BR, plus there's a sleeper sofa in the LR. There are TVs in most rooms. Enjoy the fully-equipped kitchen with granite countertops. The living room is cozy with a stone fireplace (firewood supplied), perfect for enjoying the stunning views of the lake and surrounding mountains! WiFI and HD TV; easy access from the parking lot--perfect for young children or seniors. Lakeside 16 is a lovely 3BR 2BA (1500sf) walk in/out lakefront home that sleeps 8 with 2 queen beds and a bunkbed room. You can relax in the comfortable living room with sitting window overlooking the lake, and enjoy the high-end kitchen with granite countertops, double sink, glass cabinets and much more. A washer & dryer are available in the unit. 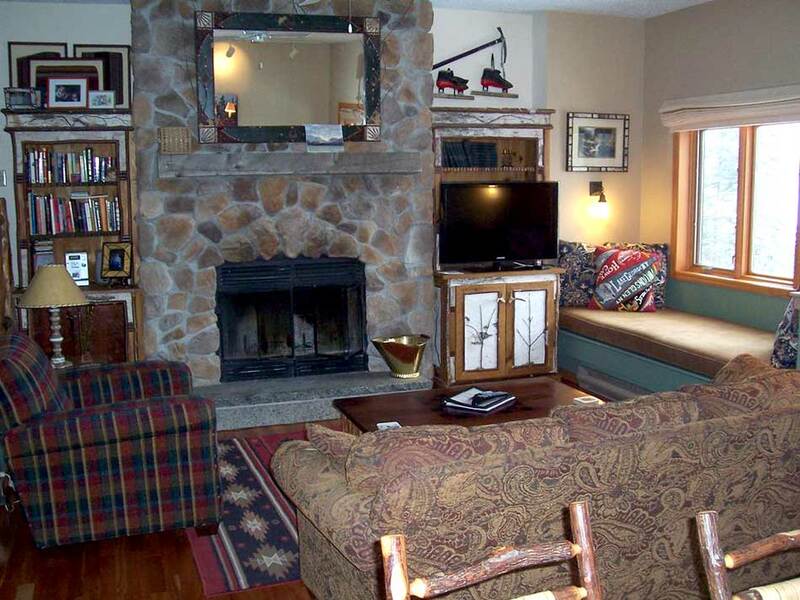 The wood-burning fireplace and Adirondack-themed decor & furniture will make you feel right at home. Spectacular location overlooking the marina, lake and mountains with gorgeous flower gardens, beach and Moose Lodge Boathouse. You'll have access to a small private beach (you get free passes), boats to rent, tennis, hiking and golf, plus excellent restaurants onsite just steps away. The perfect getaway anytime of year! 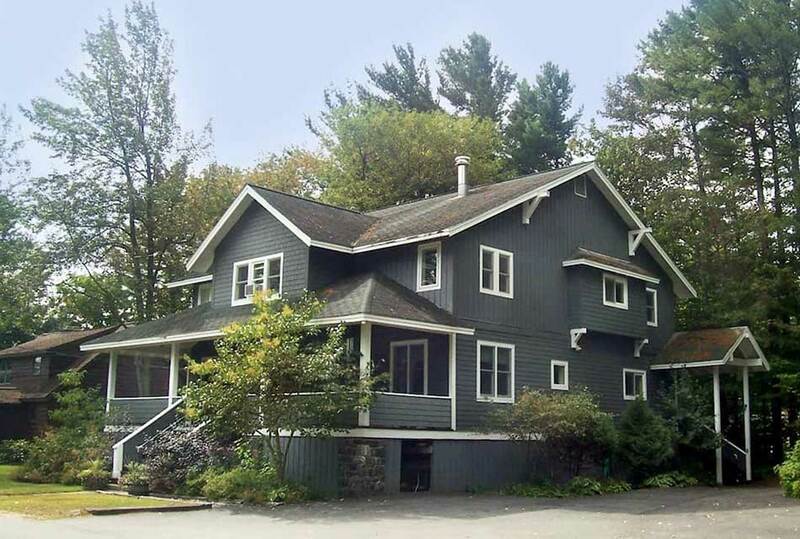 Jack's Place is a truly unique 2-story classic Arts and Crafts home (2000sf) located in Lake Placid. Choose the first or second levels--each has 3BR & 3BA -- OR TAKE BOTH for an awesome getaway for your whole group! Private entrances, large rooms with plenty of room to kick back and relax, HUGE kitchen on each floor with high-end appliances, and more -- perfect for large groups. Each level sleeps 8! 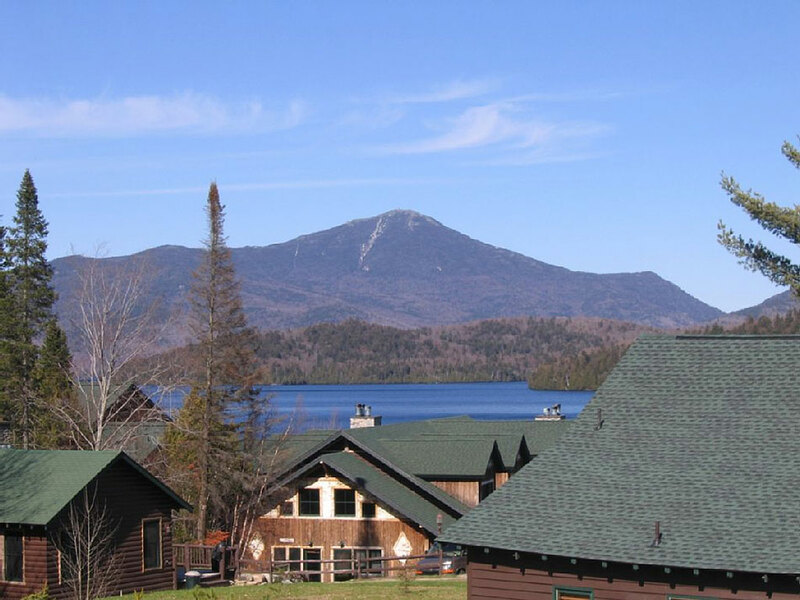 Located two houses down from the Crowne Plaza Hotel and within walking distance to Main Street in Lake Placid for great shopping and dining on the shores of pristine Mirror Lake. We are also within walking distance of the start and finish of Ironman. And Jack's Place is pet-friendly, too! 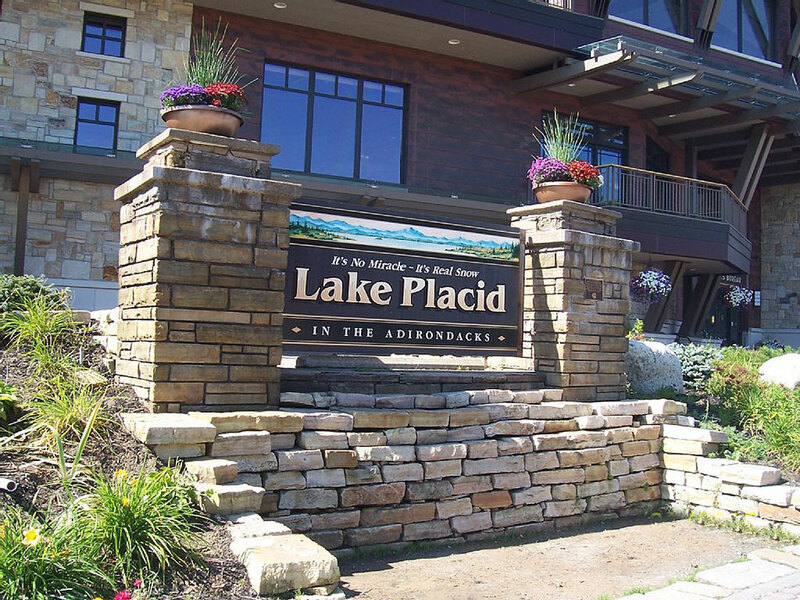 Pinehill 4 is a 3-level condo located near the center of Lake Placid Village. Its 3 nicely appointed bedrooms will accommodate 6 people comfortably. The upper level has 2 bedrooms with a shared full bathroom and the lower level has a private bedroom and full bathroom. The middle level offers a fully equipped kitchen, half bath, living room and deck area. There are 2 private parking spaces and storage areas for your bikes, skis & snowboards. This is a year-round getaway you'll want to book again and again. 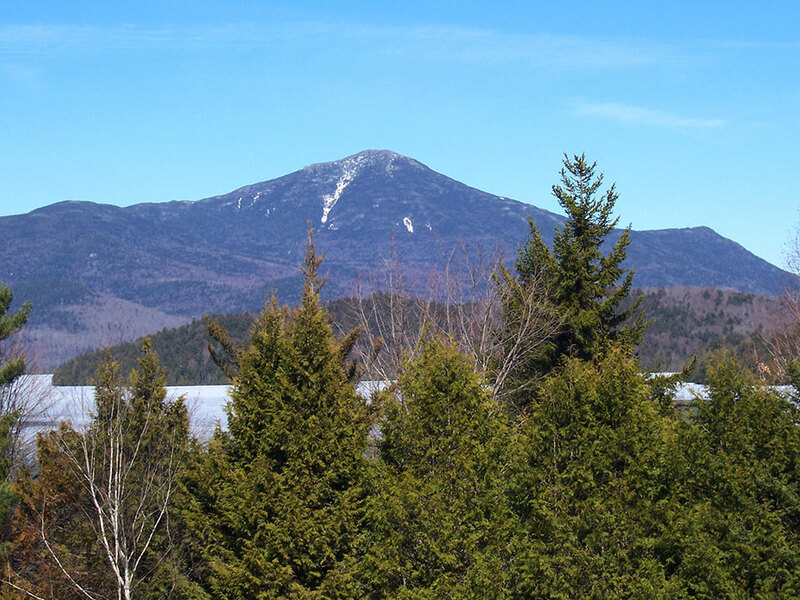 Pinehill 14 is a well-appointed condo a short half-mile walk into the village of Lake Placid. This 3-bedroom vacation rental – with two king beds and one queen – sleeps 6 and has all the conveniences you'll need. And it's located less than half a mile to the horse show grounds, Ironman course and Olympic Center! The kitchen is equipped with a toaster, microwave, dishwasher, coffee maker, Kenmore refrigerator and all of the cooking pans and utensils, plates and dishes for making your favorite meals. The living room has a gas fireplace, large TV and seats 7 to 8 people. The two bedrooms upstairs are king and queen beds and they share a full bathroom,. The lower level bedroom has a king bed and a full bathroom. 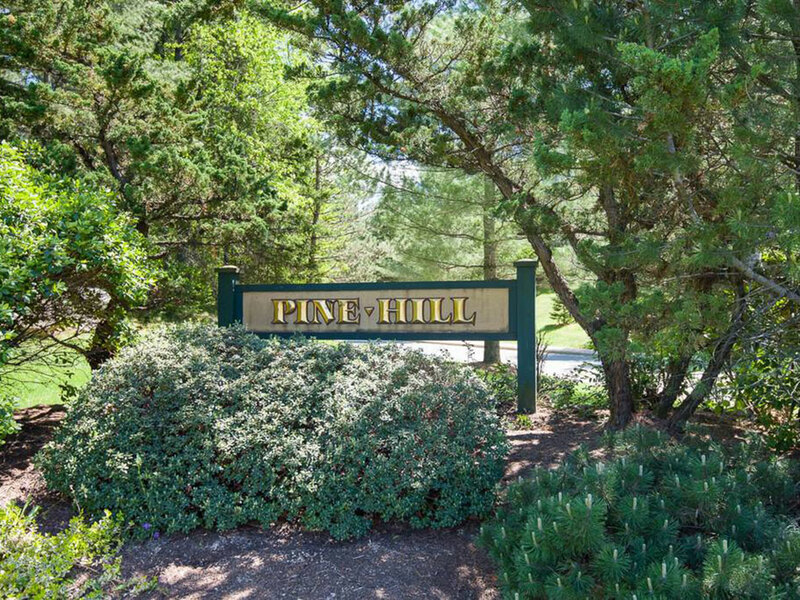 If you enjoy comfort and convenience, Pinehill 14 is the perfect place for you! 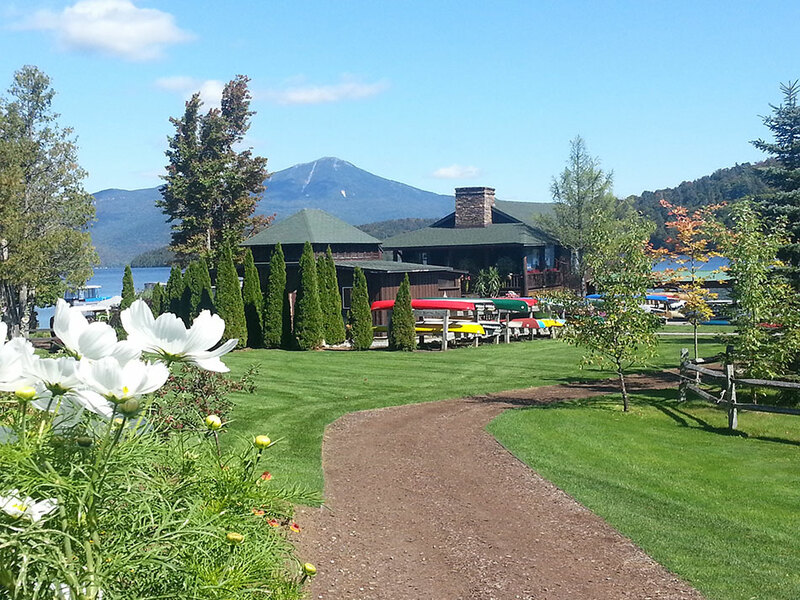 Hillside 2 is a beautiful private home at the Whiteface Club & Resort in Lake Placid! The five gorgeous bedrooms sleep a total of 10: the third floor master suite has a king bed, fireplace, deck overlooking the lake and a private bathroom with a jacuzzi; two more bedrooms with queen beds (for two); plus two more bedrooms with twin beds (for two). Each of the five bedrooms has its own private bathroom, beautifully appointed with tile and ADK decor throughout, and overlook a small waterfall. The kitchen has very high-end features: a double Viking oven, stove island with vent hood, flat screen TV, desk area, wet bar, wine cooler, beautiful cabinets and a sloping beamed ceiling. There is a coffee maker, Keurig and most everything else you might need. We're sure you'll love staying at Hillside 2! 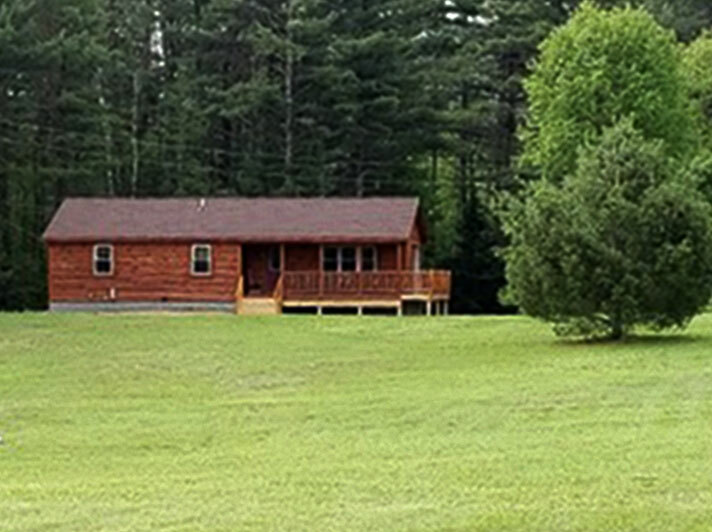 Log Haven is a rustic 3BR, 3BA log cabin that sleeps six people. Built in August 2017, this log home was custom made by Menonite craftsmen in Pennsylvania. You'll love the open floor plan with high, sloped pine wood ceilings. One bedroom has a king bed, the other has a queen bed – each with private full bathrooms. A new 3rd bedroom in the lower level has a private full bath as well. The interior decor is Adirondack-style with lots of classic knotty pine. The open L-shaped kitchen has all new appliances. You'll enjoy the media room in the lower level, too. Come enjoy the serene life at Log Haven.